Hello and Welcome to Jan's Antiques, Etc! 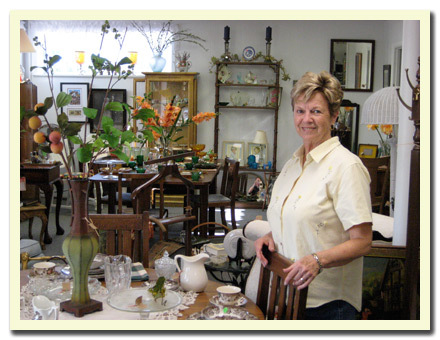 Hi, I'm Jan Armstrong of Jan's Antiques, Etc. and it's the "Etc." that makes my store special! When you visit my store you will find an eclectic mix of antiques (of course) collectibles, furniture, art, books, jewelry, glassware, china and so much more! You can click here to check out a photo slideshow of my store where you can see many of the antiques and collectibles that I carry, but to truly appreciate the quantity and quality of my selection you really have to visit and see it for yourself! I appreciate you visiting my website, but I really look forward to having you visit my store soon! We're located in Beaumont, TX (Southeast Texas near the Louisiana border). Click here for a map and directions just in case you need a little help finding us. Please look around and don't hesitate for one second to contact me if you have any questions! Store Days & Hours of Operation: Tues. - Sat. 10am - 5pm / CLOSED Sundays & Mondays. © 2007-2018 Jan's Antiques, Etc.